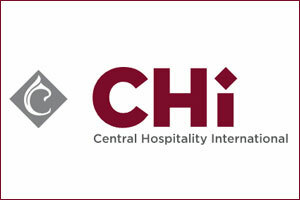 Centara Hotels & Resorts has been renamed Central Hospitality International (Chi). The move is a refresh and renaming of the management and holding company behind its collection of hotels. The hotel brands, products and services will remain unchanged. According to officials, the introduction of CHi serves to differentiate the corporate brand and its member hotel brands, as well as to align the hotel group with the other eponymously named Central Group companies creating greater affiliation and synergy within the Central family. The inclusion of the word “International” within the name signifies CHi’s intent to continue to expand its portfolio both in Thailand and international markets, becoming even more of a global player in the hospitality sector. “Our objective is to strategically grow the business and build international brand awareness and recognition through acquiring and managing hotels in global cities and resorts. These locations will be carefully identified according not only to the global travel profile of our existing and prospective guests but also in recognition of those destinations which embrace and value the elements of Thai service style that will continue to form part of the DNA of our brands,” said Thirayuth Chirathivat, chief executive officer of Central Hospitality International.